LAS VEGAS, NV; OTTAWA, ON –– March Networks®, a global provider of intelligent IP video solutions, and KIND Financial, the leader in cannabis compliance technology, have partnered to deliver an enhanced tracking and security solution to the cannabis industry to help ensure seed-to-sale compliance. The solution combines video from high-resolution IP cameras with data from radio frequency identification (RFID)-tagged plants and packages, enabling operators to seamlessly track and visually verify inventory as it moves within cultivation and on to dispensaries. Using the March Networks Searchlight™ for Retail data analytics platform, licensed growers, producers, and retailers can run searches on a wide range of data contained in the RFID tags, including a plant’s ID code and its last detected location. 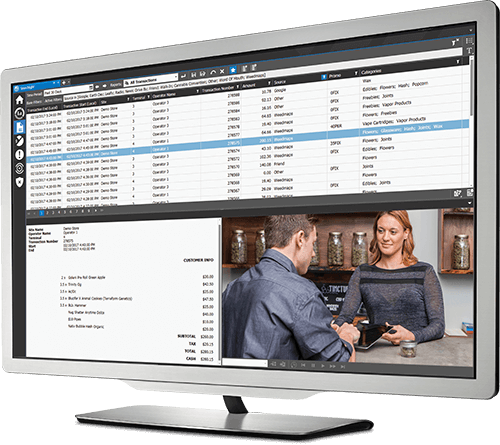 In the case of an anomaly, such as missing inventory, users can quickly access the associated video footage to see exactly where the item went and who was involved. The clear video eliminates assumptions about what’s occurred and provides strong evidence to support further investigation. In addition, the Searchlight solution provides producers and dispensaries with real-time and historical views into their operations via a mobile device or workstation, enabling them to conduct remote audits and identify areas for improvement. It also offers video analytics and point-of-sale (POS) transaction integration presented in customizable reports to help dispensary owners quickly detect and review suspect transactions, analyze performance trends, improve customer service and gain other business insights. The solution is an ideal fit for the cannabis industry, where regulations such as Colorado’s HB 1284 legislation – commonly known as the seed-to-sale law – have seen many businesses deploying RFID technology to help ensure compliance with strict mandates governing the tracking of plants from cultivation to sale. It also provides an additional layer of visual verification linked to RFID data as part of KIND Financial’s end-to-end plant tracking and management platform. The platform, which also includes Bluetooth (BLE)-enabled tracking technology, enables cannabis manufacturers, processors, and retailers to automate processes, remove manual entry issues, and track their teams and assets while also keeping the business in adherence with cannabis industry regulations and guidelines. “KIND is excited to be working with March Networks to extend these integrated and customized tools to the industry. This new partner solution will transport you to your location, hand you organized data, and point you to important events. In addition, the automation of manufacturing and supply chain processes will bring efficiencies and cost savings to clients while providing peace of mind that manual data entry issues are no longer possible,” said Dan Stofka, EVP of Engineering and Software, KIND Financial. March Networks (Booth 4716) and Kind Manage, LLC (Booth 4723) will showcase the Searchlight for Retail / RFID solution at MJBizCon, November 15-17 in Las Vegas, NV. For more information, visit https://www.marchnetworks.com/kind, or read more about March Networks’ integration with Zebra Technologies fixed RFID technology. March Networks, March Networks Searchlight and the March Networks logo are trademarks of March Networks Corporation. Infinova is a trademark of Infinova Corporation. All other trademarks are the property of their respective owners.